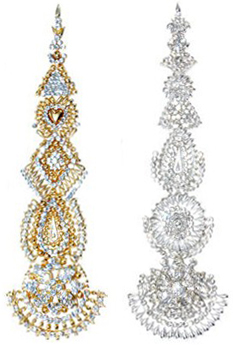 This dazzling rhinestone headpiece is a beautiful accent for your belly dance or Bollywood costume. 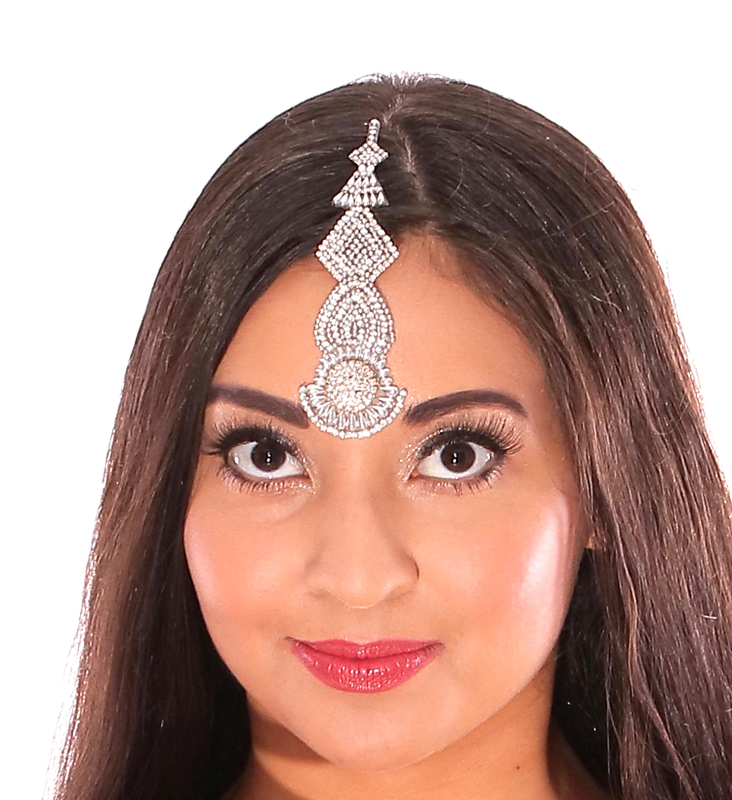 This dazzling rhinestone headpiece is a beautiful accent for your belly dance or Bollywood costume. It also makes a dramatic addition to evening or club wear! 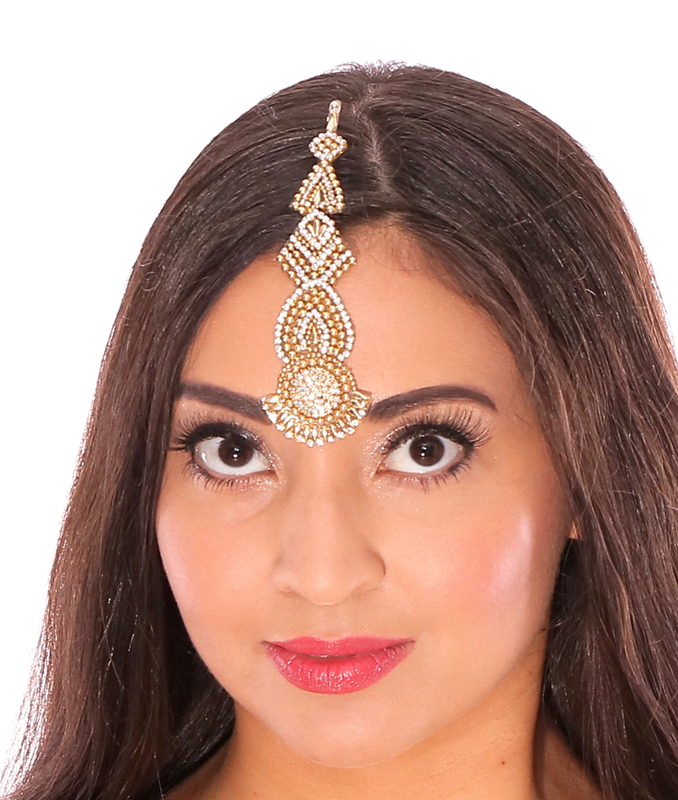 This is a ready-to-wear self-adhesive rhinestone bindi. Once the glue wears off, apply any non-toxic adhesive (such as eye lash glue) for reapplication. Assorted shapes - may not match photo exactly. I am soooooooo impressed with this bindi, I've never seen one like this, I've had so many people asking me were I got it from? I just love the compliments that I get wearing this bindi, I will buy again. Lovely adornment, looks great, well made so it can be used over and over. I really like the design...really 'pops' and shines when you are performing.